This car is in the perfect specification being a UK-Supplied Right Hand Drive Car fitted with an automatic gearbox and power steering. Presented in its factory colour scheme of Silver with Black MB-Tex trim. A very late production W113, this car was first registered in February 1971, whilst little is known of its early history, the car was certainly used to its full potential having racked up a little over 65,000 miles in the first 7 years. They’re incredibly usable cars even today, but back in 1971, they were miles ahead of the competition. 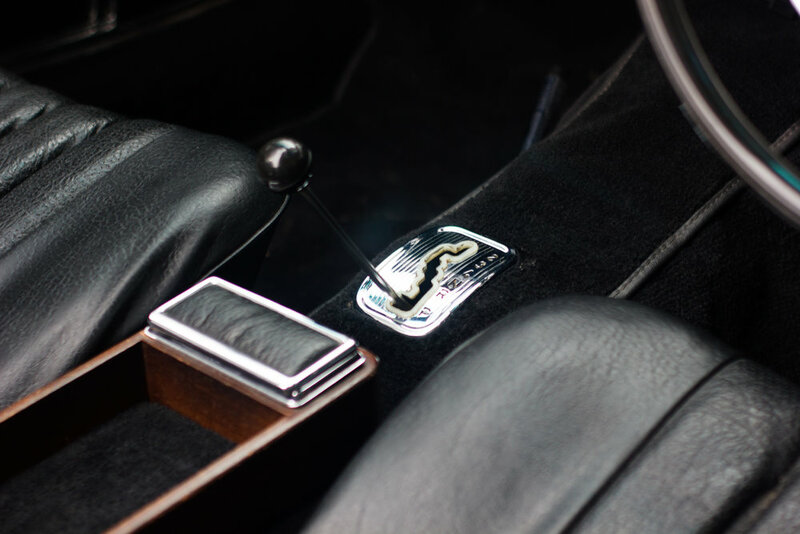 The car was restored by an engineering company over 11 years from 1979 to 1990, the work was clearly carried out to a very high standard, though some very minor details are incorrect and in the condition you see it today. Since its completion in 1990 it has only covered nearly 1,000 miles with two owners, it looks and performs excellently and has now covered just 67,7000 miles from new. 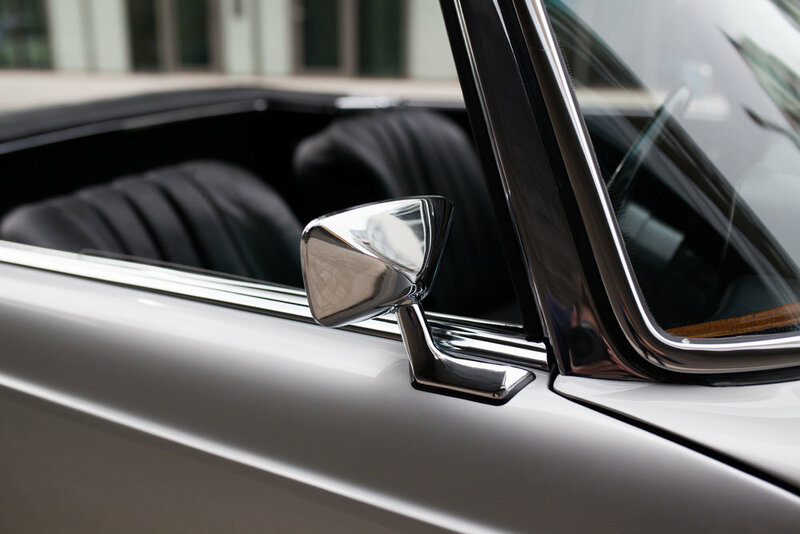 The exterior of the car presents beautifully in its original colour of 180G Silver, the quality of the paintwork is very high, with just the odd age related mark. The chromework is in great shape. The car has its matching silver Hardtop which has been trimmed black inside. The car is fitted with a black soft top, in line with the data card, which was replaced in 2017, it fits beautifully and is still in perfect condition. Fitted with period correct Michelin MXV-P Tyres which greatly improve the ride quality. Inside the the seats, door cars and dash are still in the original Black MB-Tex and present wonderfully with minimal wear anywhere. The carpets, though not original spec are in great condition. The woodwork is in good original condition with lovely patina. Recently a modern retro radio with Bluetooth phone and audio has been fitted. The engine bay of the car us very clean and tidy, although when it was restored it was decided to paint it black, despite being a factory Silver car. Being a very late car, unusual features such as an opaque plastic coolant expansion tank, are present and correct! In the boot, the spare wheel is covered by its original cover, with the original boot matt covering the boot floor. Purchased by ourselves in 2016, before being sold to the previous owner. Sadly, a lack of use now forces sale and the car is now back with us and looking for its next custodian.